Beach Bound Hounds is the premier South Carolina Greyhound Event, held in Myrtle Beach Every September. Beach Bound Hounds 2019 is open for registrations and vendor requests! Need more information? Email the staff beachyhounds@yahoo.com and ask to be added to our mailing list! And more new events each year! All in four days, and all for only $30 registration per family! 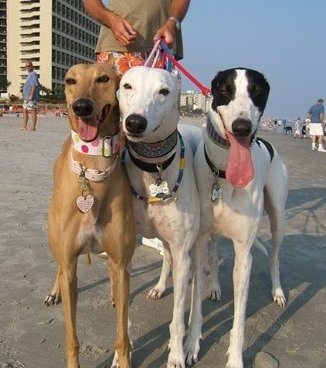 What could be better than spending a long weekend with your best greyhound friends at the beach together?